The Country Porch features the Pine Lodge Collection of lodge decor style home decorating accessories from Park Designs. Dream large with our woodsy Pine Lodge Home Decor Collection by Park Designs. Hear the breeze whisper in the piney woods . . . get-away, get-away it sighs. Oh, you don’t have a cabin in the woods or a lodge on the lake? 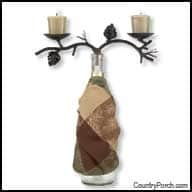 Neither do we, but we love to decorate like we do! 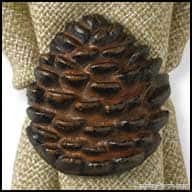 Iron twisted and crafted into plate racks, votive holders, towel bars, hooks, pillar holders, napkin holders and toilet tissue holders are accented with iron pinecones and pine needles finished in a rich brown burl. Set a woodsy table with our Pine Lodge Kitchen Decorating Theme, hang cabin curtains. No need to shop all over town and in everybody else’s town, it’s all here at The Country Porch. Enjoy!